'THE BEST DEFENSE' PART TWO! • The Monarch of the Oceans has declared war once more on the surface world in the pages of AVENGERS. And if this is a war that Namor means to win, he is going to need allies to stand beside him! 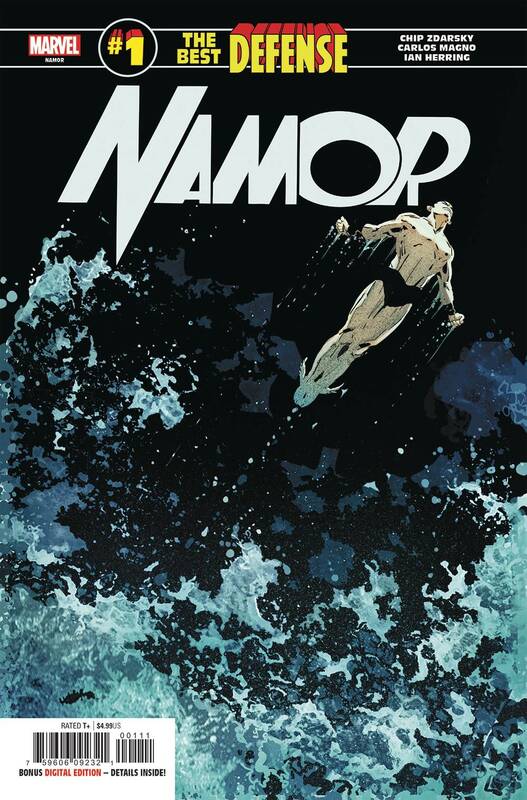 • The Sub-Mariner's quest for a lost tribe of sea-dwellers carries him further than he ever thought possible-and to a reckoning both strange and wonderful! • And hey, what's up with that weird apparition in the sheet, anyway? Rated T+.